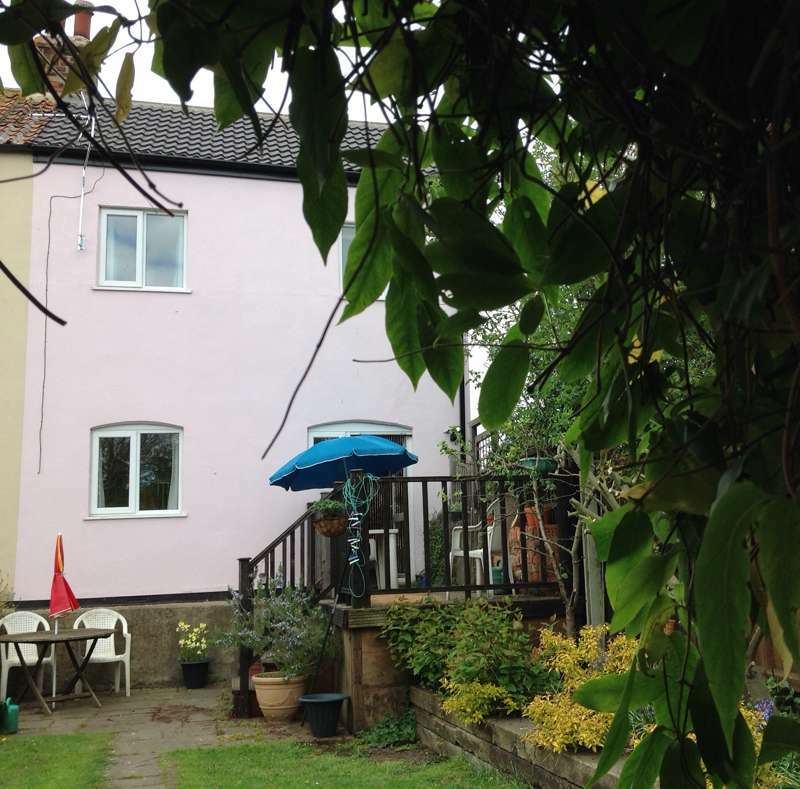 Unpretentious and affordable country cottage, not far from the sandy beaches of the Lincolnshire coast. Situated on the northern fringes of Lincolnshire, not far from the sea, 18th-century Swift Cottage – so named for the birds who return to roost in its rafters year after year – is the perfect place if you're looking for somewhere affordable to really get away from it all. It once formed part of a local brewery – and indeed, is still just footsteps from the local pub! The cottage's two twin bedrooms can easily accommodate four adults or a family of four – though the owner charges a flat rate per night, irrespective of how many people are staying. There is no wifi, and facilities are limited to a shared bathroom, a simply furnished living room with TV, and a fitted kitchen with oven, hob and microwave. In short, the cottage has everything you need, but no more; it's not a luxury location, nor overly equipped with facilities, but it is an unusual one – a place to blow away the cobwebs, and offering an affordable way to explore a little-known part of one of Britain's least-known counties. It's situated amidst rich working farmland, with farm workers trundling past the cottage at harvest time and beautiful, uninterrupted views across to the Humber estuary – together with wind-surfers whizzing along the creek waters and drainage ditches on windy days. There are wonderful, bracing walks across the salt marshes to the nearby sandy beaches; seal-watching is popular along the coast at Donner Nook; and in the opposite direction it's a short drive or cycle ride into the gently undulating hills and green valleys of the Lincolnshire Wolds Area of Outstanding Natural Beauty. Consider also making the short trip to Saltfleetby-Theddlethorpe Dunes National Nature Reserve, where there are several glorious miles of sand, salt- and freshwater marsh, carpeted in heather and violets during the summer months. In the other direction Cleethorpes is a short drive away or a good walk/cycle from the cottage through salt marsh fields taking you to the Fitties and Cleethorpes beaches. The small market town of Louth is also only a short drive away, handy for supplies or if you need a shot of civilisation – though the village does have a shop and a pub (possibly the nearest source of wifi). This cottage was chosen for its location and late-18th-century character. Tucked down a small private track in an agricultural area, walks take the traveller beside fields and canal to the sea. Looking back in the other direction, the Lincolnshire Wolds gently appear in the horizon. The northeast Lincolnshire coast, marshes and dunes offer some impressive seascapes. The cottage is situated in a small village not too far from a chip shop, convenience store and local pubs. Everything about this little cottage, close to sea marsh and beaches, has simple charm, overlooking the canal, views of sky and fields, and with a lovely garden to enjoy being home outdoors. The sense of space, fresh sea air, beaches and skies never fail to impress. Boats and ships can be seen from the neighbouring fields as you walk along the pathway, entering and leaving the Humber estuary. Cleethorpes offers a variety of pubs and restaurants. Simple cottage living, but glorious coast, nature and fresh air. A great spot to go from and come home to. Perfect for landscape artists and those enjoying gentle exercise activities. Other northern and midland towns all easily accessible by car. With 2 double bedrooms, the cottage comfortable sleeps 4 adults or a family of 4. £52 per night during the week and £64 for weekend days.